The Science Fiction Romance Brigade presents… a collection of cool SFR snippets! Check out some favorite or new-to-you authors! 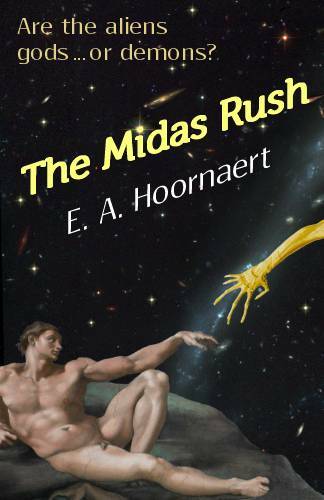 Today’s selection is from The Midas Rush, my upcoming science fiction novel with romantic elements. Two of the four main characters have been assigned to work together: MacKay Rullitch of the Interworld Security Force, and Griganna Hannu, a policewoman on the planet Jones. The The Midas Rush will be available on Amazon.com on March 9 to coincide with the annual Tucson Festival of Books, one of the largest book festivals in the United States. Last year over 100,000 people and 450 authors attended. Mr. Valentine will be speaking on a couple of panels and also autographing books. I hope to see some of you there!